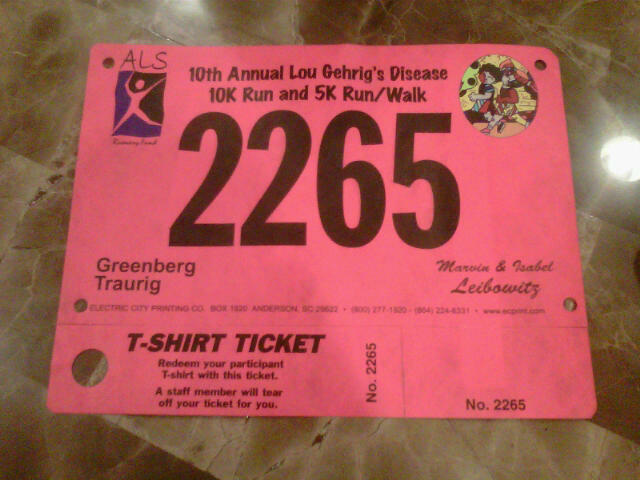 This saturday I will be participating in the ALS 10K (6.2 miles) in Coconut Grove. This will be my first running race since March. I have not done much running lately since I have tried to get back into triathlon training. I will take this opportunity to try to get my running back. Just a fun event with some great people! What are you doing to stay active this weekend? ?